I have been a bridesmaid five times: Jennie (floor-length yellow satin), Amy (anything sleeveless in a color other than black), Leah (anything sleeveless, but only in black), Arielle (whatever I wanted, because my primary role was to help produce the wedding—in Spanish, in Spain), and Jamie (this one was both a friendship wild-card and fashion wild-card; I showed up in black patent-leather cowboy boots and a silk print dress to stand up for a relatively recent friend with whom I am no longer friends). 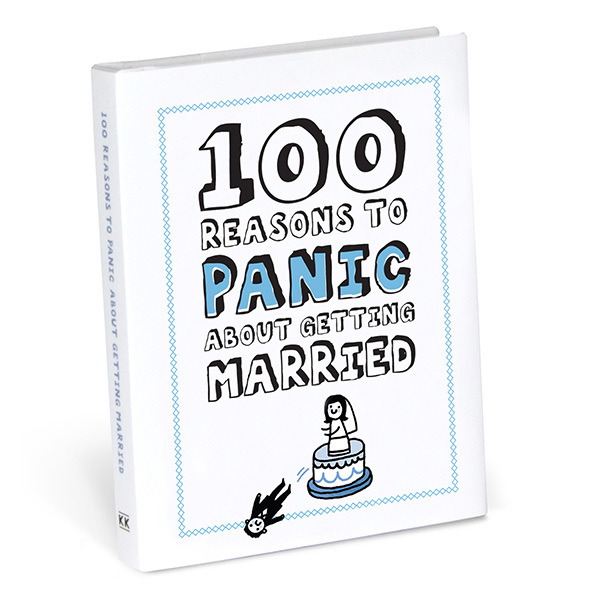 I have seen many, many people panic about getting married. I myself have never panicked about getting married—like all good spinsters, I have instead panicked about not getting married, but fortunately I've grown out of that, along with recently transitioning out of spinsterhood.